In just a couple of years, the X Series system has grown from the X100, a camera with a fixed 23mm lens, to a formidable, and well established compact mirrorless system consisting of multiple bodies and excellent lenses to match. Throughout this development, Fuji has always stayed true to its roots by placing emphasis on great image quality, traditional analog controls, and retro designs. Fuji’s latest release, the X-T1, follows in this tradition but has also included a list of worthwhile upgrades that makes this camera the most mature and user friendly X Series model to date. On top of that, while the X-T1 still has that retro look, it has broken away from the rangefinder styled form of past X Series models, and embraced the form of a retro DSLR. It’s hard not to notice the big visual difference between the Fuji X-T1 (B&H Photo/Amazon) and past X Series cameras. Many including myself were originally drawn into the Fuji X Series because of their rangefinder-like appeal but with the new X-T1, things have definitely changed; the analog controls are still in place (in fact, more so than ever before) but the X-T1 has deviated from the original rangefinder inspired designs of past Fuji cameras, and has taken the form of a mini retro DSLR. I’m a rangefinder guy, so of course, I’ll miss the rangefinder style elements of past X Series models :). But there’s no denying that the X-T1 is still a very attractive camera, and to some, even more so than any other X Series camera before it. ↑ Front view of the Fuji X-T1. When you look closer, you can’t help but notice the dials on the top plate of the camera. These little retro design cues not only look great on the camera but also serve distinct purposes and make shooting with the Fuji X-T1 simpler and more direct. The dials on the X-T1 are double decked to simplify operations, and control all of the main actions that are essential to photography, such as, shutter speed, exposure compensation, ISO, drive modes, and metering modes. I found these dials extremely useful because I spent less time shuffling through the menu. I hope future Fuji models will implement this design as well. ↑ The top plate of the X-T1. The only minor quibble that I have is with the exposure compensation dial. It’s bigger than the one on the X-E2 but unlike the X-E2, the dial is raised above the top plate. The dial is tight but I still moved it accidentally, sometimes simply by just putting the camera into my bag. I find the dial on the X-E2 is tighter than the X-T1’s, and since its recessed into the top plate, it’s harder to accidentally move. But other than this issue, which may or may not affect some people, the X-T1 is truly an analog photographer’s dream come true. ↑ Back of the X-T1. While the Fuji X-T1 (B&H Photo/Amazon) definitely achieved the look of a retro camera, it’s not all show; the X-T1 employs high quality materials in the construction of its body as well, so the build quality is excellent. The dials are precision milled from aluminum, and the rest of the body is made out of die-cast magnesium. Plus, this is the first X Mount body to employ weather sealing. There are approximately 80 places where this camera is sealed from the elements making the X-T1 dust and water resistant. Moreover, the X-T1 was designed to operate in temperatures as low as -10°C. ↑ Unlike past X Series cameras, the SD card slot is near the handgrip. Compared to its siblings, I find The X-T1 is better built than my X-E2, and it also feels slightly denser than my X-Pro1. You don’t get that same hollow feel that you sometimes get from other X Series models. There’s a really nice solid feel to the X-T1 but at 390g, it’s still a camera that you can comfortably carry around all day. ↑ Fuji X-E2 and X-T1 comparison. Speaking of comfort, I found the X-T1 fit perfectly in my hands. I didn’t hit any of the buttons on the back accidentally as much as I do on some of the past X Mount models, and I found that the grip was perfect for my needs. It was also surprisingly comfortable to hold vertically. But everyone has different size hands, so for those who need more support, there’s always the Fuji X-T1 Hand Grip. There’s even the Fuji X-T1 Vertical Battery Grip, which is similar to vertical grips that you would buy for a DSLR. I do want to mention one last thing about size though. While the X-T1 is a compact camera, lenses from Fuji are getting bigger. It’s not really their fault; I’m pretty sure they have price constraints, and of course, they can’t change the laws of physics :). But with a big zoom, and let’s say, the vertical battery grip attached, the X-T1 will be bulkier. Even without the grip, The X-T1 does feel bulkier than my X-E2. After I used the X-T1 for a few days and went back to my X-E2, I was actually a little surprised how compact my X-E2 felt in my hands. Spec wise, there probably isn’t much of a difference but in use, the X-E2 does feel more compact to me. After looking at the new Fuji X-T1 and fiddling with the cool dials, you get to check out the EVF, which is one of its best features. As far as I’m concerned, it’s the best EVF that I’ve tested so far. The high resolution 2.36 million dot OLED display is crystal clear, bright, and vibrant. There’s a wealth of information and tools in the EVF, such as, a virtual horizon (electronic level indicator), and a grid that helps with alignment. There’s a “Full Mode” where you can take advantage of the high magnification ratio of the EVF by seeing the full field of vision available, and “Normal Mode”, which let’s you essentially see a smaller version allowing you to be better aware of changing shooting conditions. (Viewfinder photos taken from Fujifilm USA). There’s even a “Dual Mode” where the viewfinder displays a split screen that allows you to see the scene that you’re shooting, as well as the manual focus area to help you with manual focusing using the Digital Split Image or the Focus Peak Highlight feature. When you hold the camera vertically, the X-T1 goes into “Vertical Mode”, which rotates the information display making it easier for you to read. But that’s not the whole story. 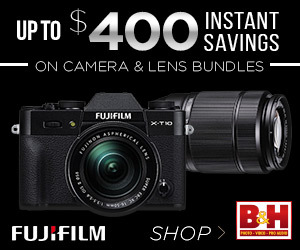 Fuji says the EVF in the X-T1 has “the highest viewfinder magnification ratio of 0.77x” and “the world’s fastest display with a lag-time of just 0.005 sec.” While I generally find it hard to prove marketing claims like this in real world shooting, it’s hard to doubt this statement because not only is the EVF nearly free of lag, it’s just so big! I love this EVF! It’s so easy to see everything. It doesn’t cause any eye strain looking through it even for people who wear glasses. It’s just so comfortable to use. I generally prefer OVF’s over EVF’s because I still feel like I’m looking at a TV screen but the EVF in the X-T1 is definitely something that I can get used too. With an EVF like this, I’m sure many want to know how it compares to competitors like the OM-D E-M1. I had both cameras in my hands, so I was able to compare both EVF’s. I find the X-T1’s EVF is clearer, brighter, and more vibrant. Both EVF’s are at the top of their respective classes but even my brother in-law, who is a huge Olympus fan (there’s always a bit of friendly Fuji vs. Oly competition between us 🙂 ) had to concede to the X-T1’s EVF. I also found that there was slightly less lag with the X-T1’s, especially in dim lighting, although there seems to be more noise. But what really is the cherry on top of the cake is the sheer size of the X-T1’s EVF. It’s just so spacious. As expected, the Fuji X-T1 comes with a 3.0 inch 1.04 million-dot high resolution monitor, which is bright, vibrant, and clear. It also has a tilt function, which I’m guessing most will like. Personally, it’s nothing against Fuji but in general, I just don’t like tilt screens. Again, it’s only my preference but I know a lot do, and it’s convenient, especially for low level shots. I believe superb image quality is one of the biggest reasons to purchase an X Mount camera, and the X-T1 definitely carries on with this tradition. I’ve been a huge fan of the X Series because of the image quality, and I’ve been a fan since the pre-X-Trans days of the X100. The 16.3 megapixel APS-C sized X-Trans II sensor with original color filter, and no optical low-pass filter produces beautifully crisp, clear images with plenty of detail. Colors are reproduced exquisitely. ↑ I love seeing some of the graffiti art around Manhattan. This was taken with the XF 18-55mm. ↑ This was taken with the XF 60mm on the Manhattan Bridge. ↑ This was taken with the XF 18-55mm. Good Image quality doesn’t just come from the sensor, it also comes from having great lenses. Luckily, Fuji has a long list of remarkable lenses to choose from. Combine the excellent sensor in the X-T1 with the lenses made by Fuji, and almost anyone should be content. If that’s still not enough, add the list of lenses that can be used thanks to the numerous lens adapters. You can experiment to your heart’s content from cheap but worthwhile lenses to the extravagant and super rare. ↑ More graffiti art: taken with the XF 18-55mm. ↑ Here’s another photo taken with the XF 18-55mm. ↑ Here’s another photo taken with the X-T1 and XF 18-55mm combo. What’s great is this level of image quality is still present at high ISO. While there is a little expected desaturation at the higher ISO range, there’s still very little noise even at 6400 ISO. In my experience, I found that all files up to 6400 ISO are perfectly usable. Unfortunately, while the ISO range for the X-T1 starts at 100 ISO and ends at 51200 ISO, you can only shoot RAW from 200 to 6400 ISO. ↑ This photo was taken with the Zeiss Touit 12mm at 1600 ISO. You can also shoot with Advanced Filters, such as, Miniature, Dynamic Tone, High Key, Low Key, Partial Color (Red/Orange/Yellow/Green/Blue/Purple), Soft Focus, Pop Color, and Toy Camera. There’s also a great panorama feature. Autofocus has been an area in the X Series system that some wanted improved. With a hybrid autofocus similar to the X-E2, which uses both an on-sensor phase detection AF and contrast detection AF, the autofocus system of the X-T1 is immediate and reliable even in low light. This is a huge change from when the first generation X Series bodies were initially released (of course, firmware has sped those up quite a bit). For the most part, I had no trouble focusing with the X-T1 even when I was using a lens like the XF 60mm F2.4. ↑ This photo was taken with the XF 60mm. Another point worth mentioning is that the X-T1’s AF tracking performance is quite impressive. Using the XF 18-55mm, I was shooting a moving car at nearly 8 frames per second, and got nearly every single shot. I tested the AF tracking on various other subjects like people jogging, animals, and bikers getting consistent results each time. I tried it in a variety of lighting conditions with different lenses, and for the most part, it works quite well. In other words, the X-T1 is more than usable in sports/action or even nature photography, and it’s definitely a noticeable difference from past Fuji X Series cameras. ↑ I took this with the Zeiss Touit 12mm. The Fuji X-T1 (B&H Photo/Amazon) doesn’t just have excellent autofocusing capabilities, manually focusing with it is great as well thanks to its highly useful focusing aids. There’s the Focus Peak Highlight feature, which highlights high contrast areas of your subject for more accurate focusing. There’s even three highlight colors to choose from: white, red, and blue. Intensity of the highlights can also be adjusted. I didn’t use my M lenses on the X-T1 as much as I wanted to while it was in my hands but I have been using my M lenses on my X-E2, which has a similar focus peaking function, and it works great. The other focusing aid is the digital split screen, which is similar to what can be found in film cameras of the past. You basically align the image in the focusing patch but personally, I don’t like the digital split screen as much as I like the focus peaking. I have a difficult time seeing it. But I know people who have a difficult time focusing with the focus peaking feature, so it’s great that there’s another option. A really cool feature, which I mentioned before, is the “Dual Mode” that splits the viewfinder or monitor into two separate windows, one with the image of the subject, and the other with a magnified portion. This feature allows you to focus with much greater ease because you can see a magnified view of your image for more precise focusing but you can still see the overall image in the second window. Overall, the Fuji X-T1 is quite impressive but I did encounter a couple of minor issues that I thought I’d mention just in case there are owners out there who’ve encountered the same issues but don’t know what to do about them. I’m sure many of you already know about the light leak issue. I did encounter light leak but at least for me, it didn’t affect my images. I had to open the door to the ports on the side of the camera, and shine a flashlight into it at a certain angle to achieve the light leak, so in my daily shooting the light leak wasn’t a problem at all. Also, as most of you probably already know, Fuji has fully acknowledged the problem, and is offering a free fix for defective cameras. The other issue I encountered had to do with my memory cards. Every time I put a new SD card in any camera, I make it a habit to format the card. One night, I formatted a card, and noticed that it said there were only 71 shots left. This couldn’t be possible because it was a 16gb card. I formatted it a couple more times, and it still said the same thing. So I decided to shoot till there were no pics left, and when I reformatted the card, the error message, “Frame No. Full” appeared. I even used the previous card I had put into the X-T1, and while I knew it had 56 shots left, the same error message appeared. I deleted a couple from that card, and the frame count was still zero. Lastly, I tried three more cards but they didn’t work. Supposedly, this occurs in other Fuji cameras as well although this is the first time that I’ve encountered this problem. It’s a simple fix though. You just have to go into the menu and renew the frame number. So here’s what I did: Go to the “Save Data Set-Up”, then to “Frame No.”, and finally pick “Renew”. I know it sounds easy but believe it or not, it was a pain to find it in the menu. Some will love the new retro DSLR look. An analog photographer’s dream camera: plenty of manual dials that are actually useful, and help speed things up. EVF has plenty of unique features. Autofocus definitely improved over past X Series cameras particularly the AF tracking. Overall, truly a well-packaged camera that should make it’s user very happy for a long time. It loses the rangefinder-like form that some prefer. I found the exposure compensation dial sometimes easy to move by accident. A little EVF grain in low light. The X-T1 is a compact camera but with lenses getting bigger, and the large battery grip attached, it can feel a little bulky. I’ve been using the X Series line since the X100 days, and thinking back, it’s quite amazing how far Fuji has taken the system in such a short time. Not only are there myriad bodies to choose from, there are some seriously high quality optics to accompany the system along with various other third party lenses thanks to the abundance of adapters. The Fuji X-T1 (B&H Photo/Amazon) is definitely a departure from the design of previous X Mount cameras in that it has taken the form of a mini retro DSLR over the rangefinder-styled form of past Fuji cameras, and I have to admit, the rangefinder guy in me kind of misses that design aspect :). ↑ Here’s one more with the XF 60mm. ↑ Here’s a photo of my friend taken with the XF 18-55mm. Nevertheless, I think it’s this uniqueness in the X Series lineup that helps maintain the magic that makes the X Series special. Let’s be honest, Fuji has been coming out with a lot of different models, and if you ask me, I don’t know if they necessarily need to update so fast all of the time. But the X-T1 is different than some of the other models that were simply designed to refresh an existing model. It not only looks different, it feels different, which to me, feels like it is something special. It’s the excitement and feeling I got when I first bought my X100, X-Pro1, and X-E1. ↑ On the Brooklyn Bridge looking right the Manhattan Bridge. This was taken with the Zeiss Touit 12mm. ↑ Here’s another taken with the Zeiss Touit 12mm. While there are several things that are different, Fuji has always kept one thing constant in the X Series line, which is the overall analog feel of their cameras. In fact, the X-T1 arguably emphasizes these analog qualities more so than in any other X Series camera before it. In this day in age, there are excellent cameras everywhere but I think it’s kind of rare to see a camera, especially in this price range that concentrates more on the essentials and downright good, no-nonsense analog controls. Call me a person stuck in the past but I find it kind of refreshing, and in my opinion, it brings back the fun and purity of photography. ↑ The XF 60mm has come a long way in terms of focus speed. It also produces sharp photos with smooth bokeh. ↑ I shot this out of my brother in-law’s dirty window. He definitely has a nice view :). It was taken with the Zeiss Touit 12mm. But it doesn’t just stop at nifty analog controls and the retro look. The Fuji X-T1 retains the magic, the great qualities, and the excellent performance, especially in image quality that have made past X Series models successful. On top of this foundation, it also adds many features that include but are not limited to weather sealing, a technically advanced viewfinder, enhanced AF capabilities, and better manual focusing aids. All of this adds up to a camera that is exceptionally capable, hugely fun to use, highly involving, and best of all, makes you want to go out and shoot. As the culmination of a series of cumulative improvements, as of now, I feel that the Fuji X-T1 occupies a well-deserved place at the head of the series. That’s it for this review, I hoped that you all enjoyed it. Thanks for taking the time to read it! If you’re considering buying the X-T1, and my review helped you decide, please help support me by purchasing from one of the links below. Thank you for your support! hi,nice review, make me wanting one for myself,haha…once again, ur photo amaze me..beuatiful,wonder how u secret recipe to process them,haha….So did X-T1 change you idea on DSLR format? That’s really nice of you to say, thanks Meng! I wish I had a secret recipe but I just process the RAW files through Photoshop. I use Nik Software for the black and whites. It was definitely a fun camera to use, and a lot of the stuff that you don’t like in the X-E1 has been changed like the viewfinder. Seriously, I can’t get over how good the EVF is in the X-T1. I kind of want one too lol but I still prefer rangefinders/rangefinder style cameras. Thanks for stopping by! I think Fuji has made another great camera, technically the best of X-series so far. I ‘ve tried it in my hands couple days ago. I guess that many ex-DSLR shooters will appreciate X-T1 but many others will be looking forward to see those improvements in rangefinder styled bodies in the future, maybe X-Pro2 or X-E3. I guess that for most Fuji-X camera users rangefinder design is very tempting and Fuji has filled some gap on the digital camera market. This design and “Made in Japan” quality together with gorgeous image quality – these are a decisive points to choose Fujifilm camera, at least for me. It’s great to see you here, and I definitely appreciate you taking the time out to read my review! Thank you for the kind words about my pics! I definitely feel that this is Fuji’s best X Series camera to date as well, although I kind of wished they kept the rangefinder style form :). But as you say, they will probably add a lot of these improvements in their future rangefinder style bodies (It would definitely be nice if they could somehow get that viewfinder in the X-E2)! Definitely something to look forward too. Plus, it’s great to have something different in the X Series system. Keep in touch! I hope that XF 60mm is doing okay! Sorry, I have to correct myself. I only use Camera Raw in Photoshop. I try to keep things as simple as possible. I just play around with the levers. I do not edit in Photoshop. All I do is finish with the RAW file, and use Photoshop to resize my image, so I can post it here. If I convert to black and white, most of the time, I use Nik Software. I know there are some that prefer different editing programs for the Fuji but I’ve been using Adobe stuff for years, and I’m perfectly happy with the results. I’ve made many huge prints with the Fuji, and they come out great. As for the X-T1, I definitely want one but I already bought the X-E2. Also, I prefer the rangefinder style body although I definitely like the bigger viewfinder in the X-T1 :). Are you thinking about purchasing one :)? I know you always wanted a bigger viewfinder. Great review and great pics too! I really like the the B&W sidewalk shot, 7 photos from the end of the blog. Outstanding! Also, really great work and handling of the extreme wide Zeiss Touit 12mm on the XT1. That’s not an easy focal length to work with, and you do it well! Thank you so much for your kind words! I’m glad you liked the review, and thanks for taking the time out to read it! I’m glad you like my 12mm shots but I definitely feel like I need more practice with it :). Sorry for the late reply (just got back from a fishing trip), and thanks for taking the time out to read it! I’m glad you like the black and whites! They were originally RAW files that were processed with Photoshop. I converted them to black and white with Nik Software. If you have any other questions, please feel free to ask! Very nice review. I personally own one XT-1 and previously had all of the X series. This camera really corrected all the details not covered on the other interchangeable X-series. For me this one and the X-100S are my keepers. The others already sold on eBay. Now, I never had a Leica in my hands or experienced one, but it stills lurks in my head what would be the feeling of owning one. The obvious reason, the high price for a body and 2 lenses starter..I’m very pleased with the Fuji’s, nevertheless. 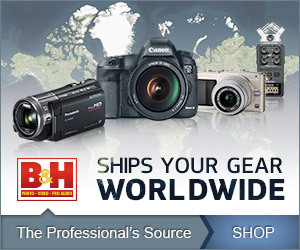 Just wanted to know how the feel of each other compares knowing you have both these cameras…thank you! I posted a reply to you a few days ago but after fidgeting with some of the settings, I deleted my reply to you by accident. Sorry about that! To me, something like the M 240 is the closest thing to analog, and one of the most thoroughly involving cameras that I’ve ever used in the digital world; everything has a very nice mechanical feel to it; from the dials to the focusing of the lenses, everything feels like it was meant to be manipulated by the hand all of the time, which it is. The Leica system is less reliant on electronic aids, so there’s a lot more to think about for the photographer. All of this makes me more involved in the photographic process, and makes my senses more alert. The camera literally concentrates only on essentials but because of that, it becomes very pleasurable to use, highly involving, and at the end, an extremely rewarding experience. Obviously, this is just how I feel, and others may have a different opinion. There are many great cameras out there, and I’m not disputing that (I’ve actually been tempted recently to purchase an old Pentax 67 🙂 ). The important thing is, each person has to get what fits him/her, and what makes him/her happy whether it be Leica, Nikon, Fuji, etc. As you can see, I’m also a huge Fuji fan :). A useful and even-handed review. Glad to see you have taken the time and made the effort to become familiar with the gear — instead of just copying material from the manufacturer’s spec sheets! Thank you for your kind words, and for taking the time out to read my review! It’s always great to see you around here. Please come back soon! Yours is by far the most in depth & comprehensive review that I have run across for this new X-T1 camera. I also think it the most balanced & designed to give potential users what they really need to know about it. The camera is getting so much hype today, & is so much in demand, that it is easy to get swayed by all of this ground swell. So it is good to see such a sensible discussion of all of the improvements but still some of the limitations of this camera. If I were in the market to consider it (which I’m not as I am most satisfied with my X-E2), I would take away all that I really needed to know from the perspective & experience of someone who has given the camera a thorough analysis. Thank you for your kind and encouraging words! I’m glad you enjoyed the review, and thanks for taking the time to read it. It’s always great to hear from you and I’m sorry for the late reply! As you know, my back hasn’t been feeling to well. The X-T1 is an excellent camera but so is the X-E2. I have the X-E2 as well, and I plan on keeping it for a long time. It’s funny; I originally bought the 18-55mm because it was cheap when bought as part of the X-E1 kit. I wasn’t expecting to use it so much. A lot of kit lenses out there aren’t that good but the XF 18-55mm is superb. I really like the results that I get from it, and for a zoom of that range, it’s pretty compact as well. It’s nicely balanced on the Fuji bodies. It’s also pretty fast. Some might not think F2.8 is fast enough for night but the image stabilization works great. The Zeiss 12mm Touit is by far my favorite lens for the Fuji. I don’t doubt the capabilities and image quality of the Fuji XF 14mm but the Zeiss just works well for me. I use it all the time. Like you said, the price has dropped, so it’s actually a great deal. Thanks for stopping by, Jed. I hope to hear from you soon!